The developers of Starlight Suites yesterday sold the remaining units in a bulk sale, just in time to beat the Qualifying Certificate (QC) sales deadline at the end of this month. 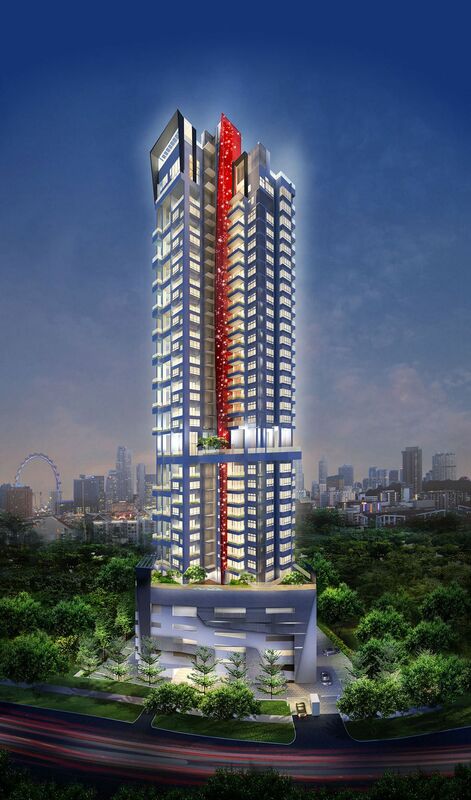 They sold the 23 units at the River Valley project for about $48 million to an entity associated with Evia Capital, The Straits Times understands. The sale price works out to about $1,670 per sq ft (psf), compared with average prices of about $2,000 psf when the project was launched in 2010. The deal was done via a sale of shares in the development company, Meadows Property (Singapore). As the buying entity comprises Singaporean directors and shareholders, the development firm is no longer bound to QC rules to sell all units within two years of completing the project or incur extension charges. The units are spread over different floors and range from the smallest one bedder of about 560 sq ft to a penthouse unit of over 3,000 sq ft.
Property and construction group TA Corp said in a Singapore Exchange filing yesterday that its 50 per cent-owned associated company, Meadows Bright Development, has sold its entire 88.89 per cent stake in Meadows Property for $16.8 million. The other shareholder in Meadows Property has also sold its stake to the same buyer, it said. A company search revealed that the other shareholder is local liquor distillery Far East Distillers. Other stakeholders in Meadows Bright Development include King Wan Development, with a 40 per cent share, and Far East Distillers, with the remaining 10 per cent. This is not the first time shares in a development firm have been sold to avoid QC extension charges. The remaining 16 unsold units in 111 Emerald Hill were sold for about $75 million last year via a sale of shares in developer Emerald Land. The seller was a fund managed by LaSalle Investment Management and the buyers were entities, fully Singapore owned. Still, there are risks associated with taking over the development company as these may come with indemnity clauses, said Mr Leung Yew Kwong, KPMG Singapore principal tax consultant. Starlight Suites is near the Martin Place Government Land Sales (GLS) site. Tender closes on June 28. This latest transaction may open a new dimension to the bidding for that site, said Mr Alan Cheong, Savills Singapore research head. "With Evia securing a foothold in the area, it sets up the condition for game theory to be applied. For example, if Evia bids for the Martin Place GLS site that results in the end product price being equal to or higher than what they paid for at Starlight, they could still use the former to defend or as a higher comparative to sell units in the latter. If Evia does not bid or even win despite tendering at a higher price for the Martin Place site, the successful bidder will nevertheless still help Evia buttress its Starlight's valuation."